Yes, we’re finally introducing our grenade launcher, Pineapple! This weapon is a heck of a lot of fun and shoots three grenades with 60 pellets each with a reload time of just 1.5 seconds! The grenades have a range of 500 metres and travel at a speed of 60 m/s. The damage radius of each grenade is 15 m with a splash damage of 20 to 100 hp and an additional 40 hp damage per pellet hit. Talk about versatile, right?! Some additional features include the grenades bouncing off walls and a distance indicator that turns green when an opponent is within the grenade’s damage radius. The second big update in this patch is the tutorial that will take the player through basic game functions, e.g. how to use the thrusters, how to fly, use the grapple and select and use weapons. We haven’t included some of the more complicated features – like how to use two-handed weapons more efficiently – into the tutorial, but we’re working to add these into the game very soon. 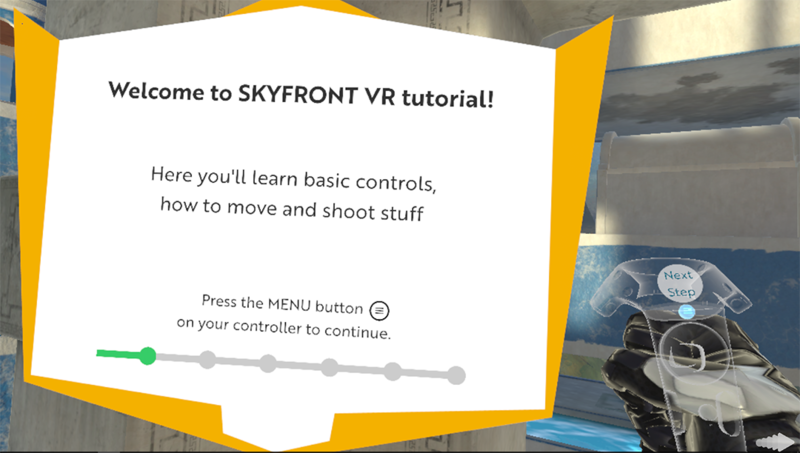 By adding the tutorial, we also cleaned up the Main Menu hierarchy to make the Tutorial and Loadouts section more visible.